About 20,000 people call Durango home. The city maintains a small town charm along with steady growth. For those looking for adventure, it’s often right out the back door or a short drive away. Photo by Natalie Distin. 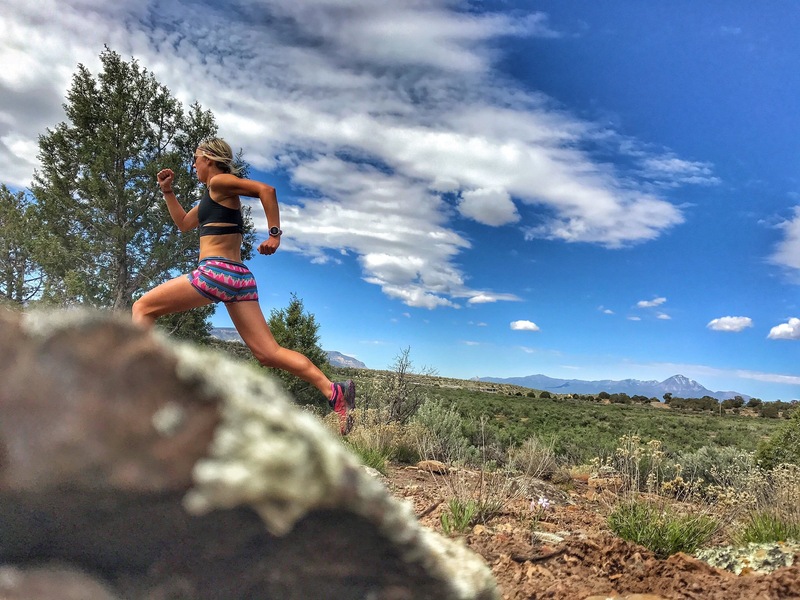 Long known for its carefree nature and eclectic blend of true grit and hedonism, Durango, Colorado, sits on the heels of two distinct landscapes – the mountains and the desert. Drive west and sandstone towers erupt across the desert floor and red rock canyons unfold. Drive an hour north and the San Juan Mountains burst over the skyline. What this means is that driven locals are adept at embarking on any number of adventures at any given time. With a mild climate pushing 270 days of sunshine a year, for those who are ready, even in the winter it’s anything goes. You can wrap up a snowy epic trip in the San Juans and have your toes in the desert sand a few hours later. But even if you don’t want to drive, there is plenty here for recreationalists of all types. “In Durango, you can walk out your front door and go backpacking, mountain biking, trail running, climbing, or kayaking within minutes,” said Margaret Hedderman, a writer and director of marketing for local outdoor gear shop Backcountry Experience. After hiking across New Zealand on the Te Araroa Trail, Hedderman has been exploring the Four Corners. It’s a part of the country where the landscape takes dramatic turns with a little windshield time. 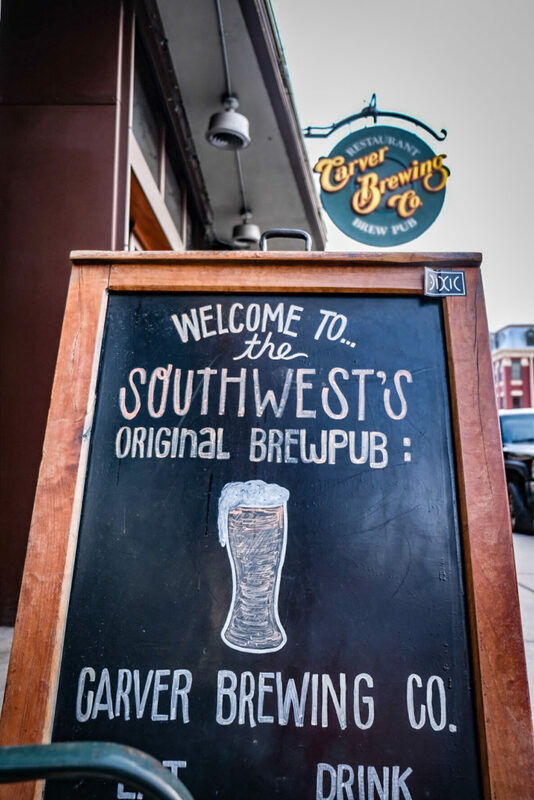 Grab breakfast at Carver Brewing Co. on Main Avenue, a chic bakery-turned-brewpub with a fantastic menu. Photo: Carver’s is a local’s favorite for good grub and good brew. Photo By Brandon Mathis. Head north to Purgatory, Durango’s darling ski area. At 1,600-plus skiable acres, it’s no giant by Colorado standards, but this rolling mountain and its 12 lifts can be straight up off the hook on good snow days. Ideal aspen and conifer glade skiing on cascading terrain with views that don’t quit make Purg a no-brainer for fun. Thanks to one industrious local, the mountain is home to an impressive amount of custom log features in the trees, so get your jib on off the lift. Or book a cat trip with Purgatory Snowcat Adventures. With one of the biggest permitted areas in the country, there is plenty of terrain to slay. Powder. Guaranteed. 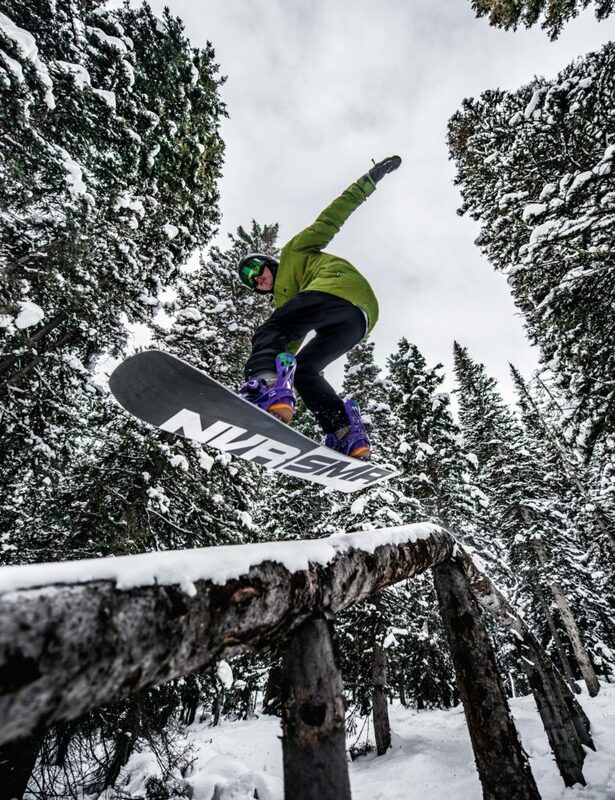 A snowboarder samples one of the many natural features in the trees at Purgatory. Photo by Terrance Siemon. 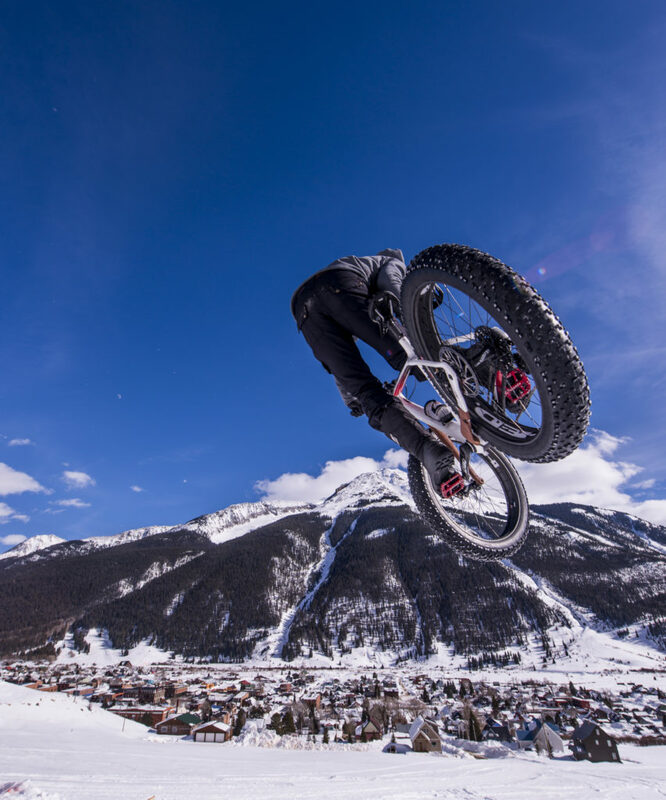 If you’re looking for something a little more off-piste, then look west to the La Plata Mountains or roll on north into the San Juan Mountains where the easily accessible backcountry is considered some of the best in the nation. You’ll see why as you carve around bends in the Million Dollar Highway section of U.S. Highway 550 – from Silverton to Ouray – is named for the million dollar views. But don’t get out of your car without avalanche gear and a good idea of the current snow conditions. All that skiing is in some touchy terrain. Know Before You Go, check in with the Colorado Avalanche Information Center about the conditions for the northern and southern San Juan zones or hit up any number of guiding outfits in the area like Kling Mountaineering or San Juan Mountain Guides. 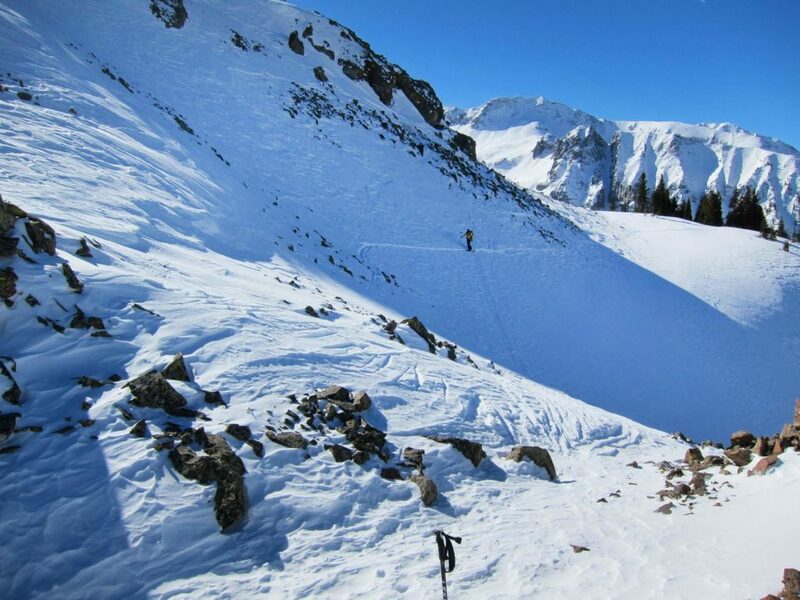 The amount of backcountry ski terrain in the San Juan Mountains is overwhelming. The author traverses an alpine slope to safety in the northern San Juans. Photo by John Arnet. For cross-country skiers and snowshoers, head for Andrews Lake or Molas Pass Winter Recreation Area, where miles of trail are laid out and it’s easy to find your own adventure. Fat bikers can find trails in any direction in Durango since this historical cycling community keeps cranking all winter long. 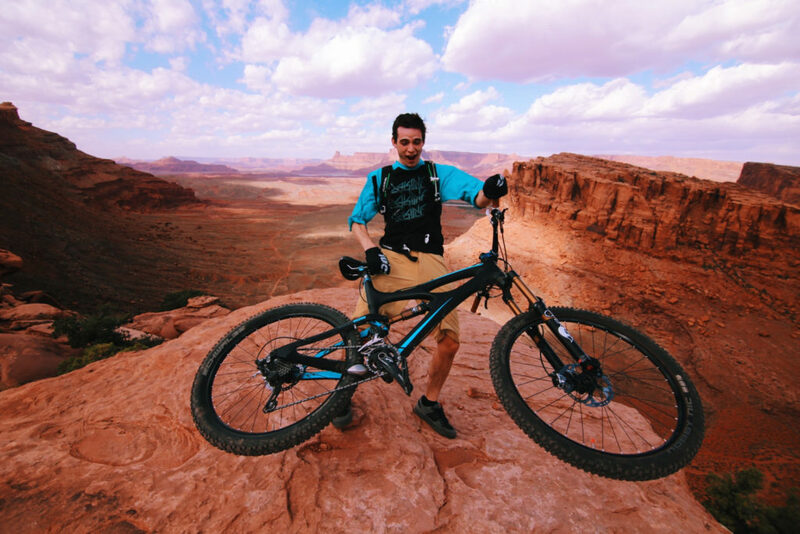 Head to Overend Mountain Park, named for local resident and cycling legend Ned Overend who helped secure the acreage from being developed, or spin over to Horse Gulch on the southeast side of town, and swing by Velorution Cycles at the trailhead. A fat biker launches into the snow during the Silverton Whiteout in Silverton, Colorado. Photo by Terrance Siemon. Time things right for the Silverton Whiteout. 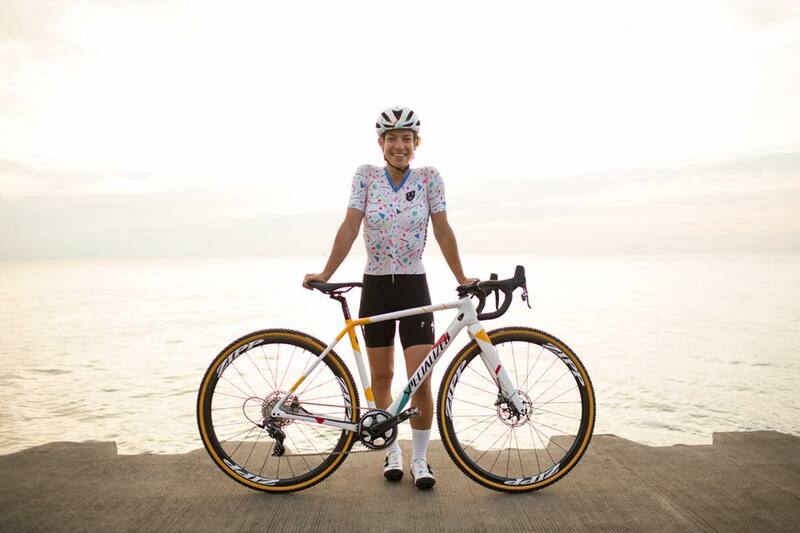 Or if you’d rather stay skinny, the road riding is also world class year-round. 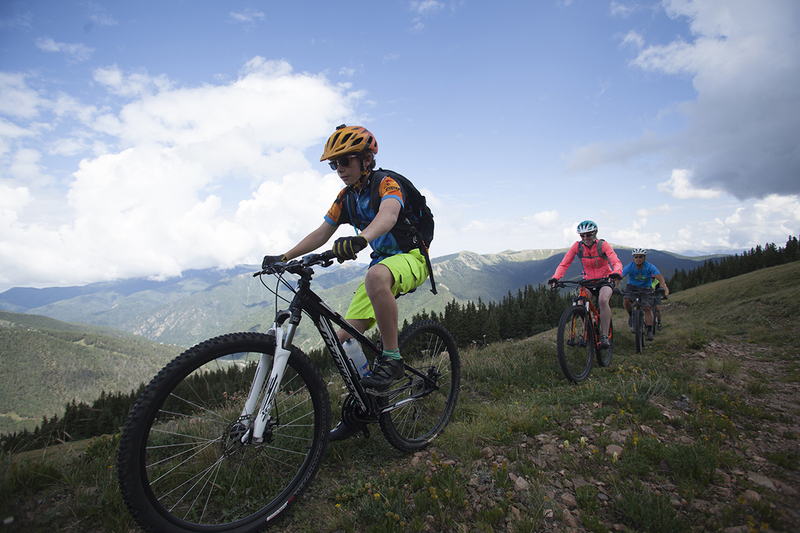 Like any mountain town filled with passionate athletic die-hards hell bent on having a daily epic adventure for lunch, Durango sees a bit of this-trail-isn’t-big-enough-for-the both-of-us, but increasingly everyone is getting along. Case in point: Trail runners love fat bikers, especially in winter because they do a great job packing down the snow on some of the city’s quintessential singletrack. 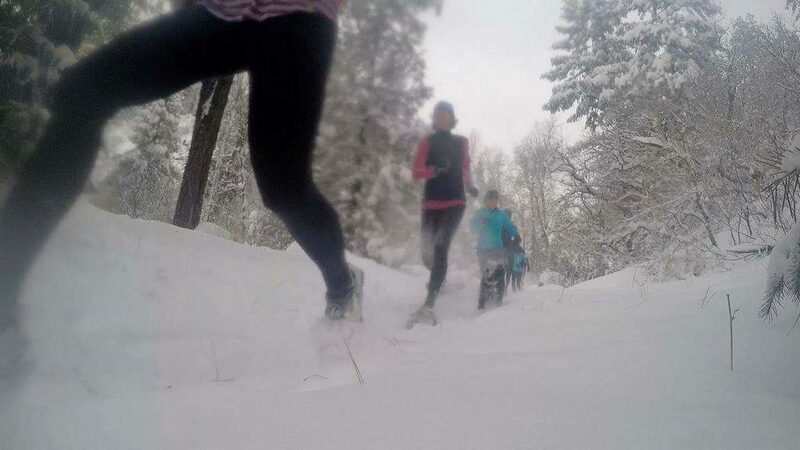 Trail runners don’t let a little ice, cold and snow stop them from getting their miles in. As winter conditions fluctuate in the region, Durango trails can range from crunchy and firm to knee-deep in powder. Photo by Brandon Mathis. 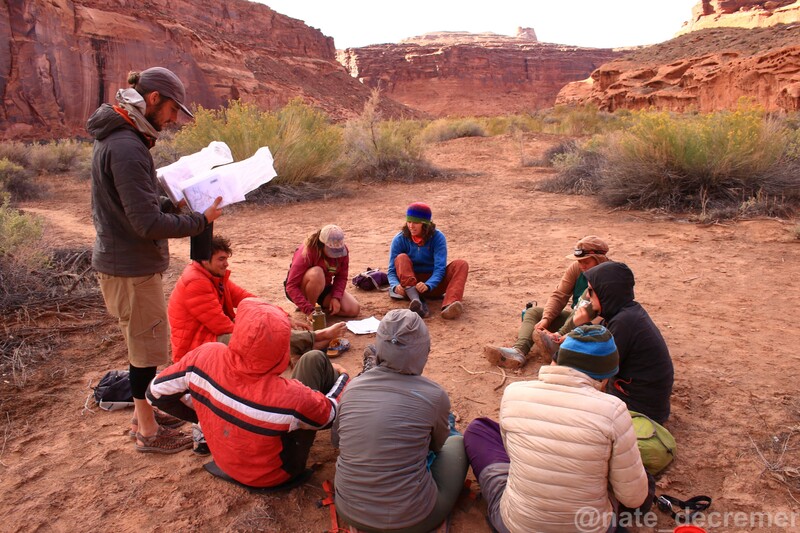 Climbers often find warm temps in the sun at local crags like East Animas or Golf Wall, but even at higher elevations the sun warms the limestone routes in Cascade Canyon, where you can climb rock in the sun and ice in the shade. If you’re a go-getter, rise early and grab a route at the incomparable Ouray Ice Park, scenic day trip over three mountain passes: Coal Bank, Molas and Red Mountain. Don’t scoff. Die-hards do it every weekend. Or if a white-knuckle ride over Red Mountain Pass isn’t for you, head up just outside Silverton and sample a selection of natural alpine ice. Bring your grit. You’ll need it. An ice climber outside Silverton, Colorado. 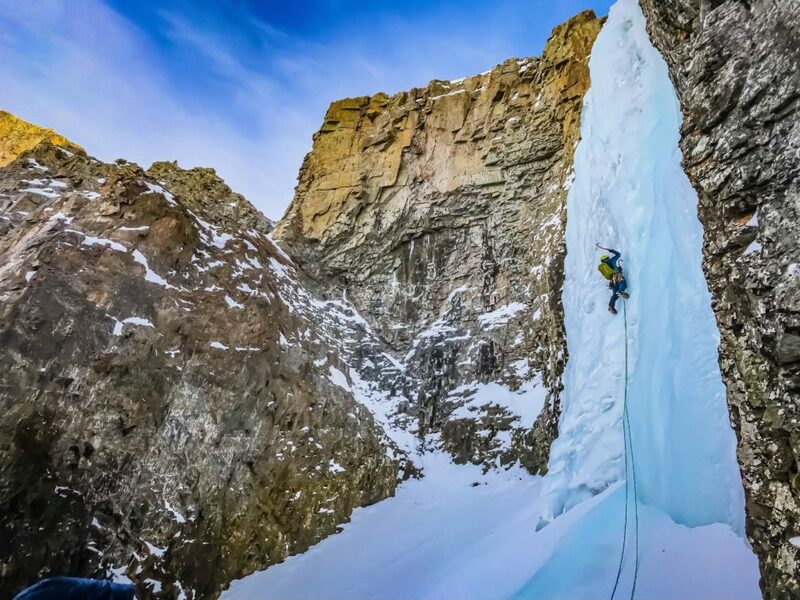 The San Juan Mountains offer some of the most magnificent and challenging ice climbing in the United States. Photo by Brandon Mathis. 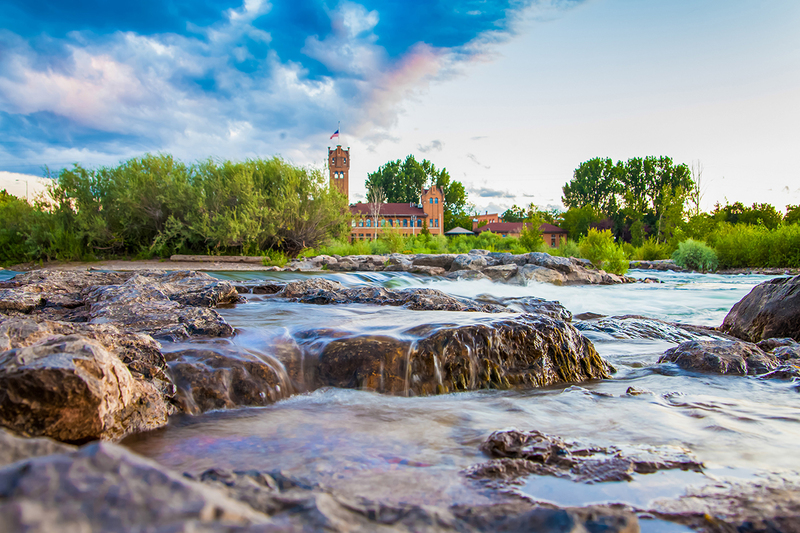 Durango is located in the in the southwest corner of Colorado in a region known as the Four Corners, where Arizona, Colorado, New Mexico and Utah meet. Climate: Known for its sunshine (about 266 days of sun each year, more than two months more of sunshine than the national average). Durango gets about 80 inches of snow each winter, with far more at neighboring higher elevations.